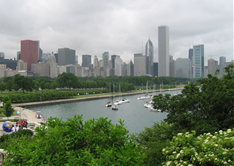 Workforce Planning Conference Coming Up in Chicago | Writing Assistance, Inc. Writing Assistance, Inc. Sponsored by the Human Capital Institute (HCI), the second annual 2010 Workforce Planning Conference is designed with senior executives in HR, talent management and planning in mind. Since the economic downturn began, planning for future workforce needs has become more difficult than ever. “Rapid reorganizations, whether through downsizing or M&A activity, have made it difficult for companies to understand their current talent pool. Developing a hiring plan that accounts for a wide range of future scenarios is even harder. While many firms see the downturn as an opportunity to build a competitive advantage by acquiring top talent, this effort must be carefully guided by strategic workforce planning, with careful attention being paid to the alignment of talent with future business goals.